Our leather Elven Hunter Quiver is made from quality 7/8 oz. leather and can hold up to 2 dozen arrows. 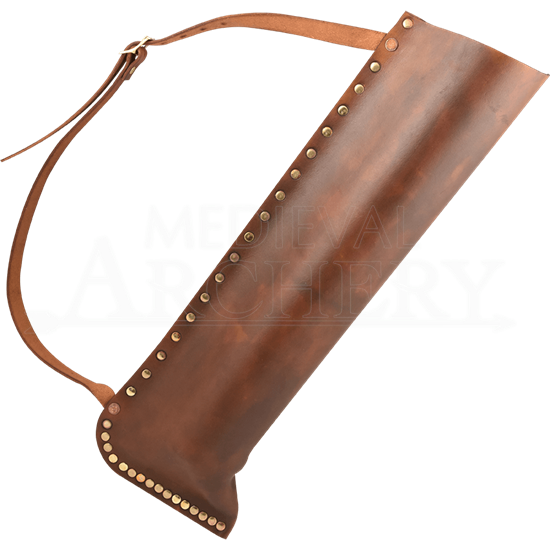 The Elven Hunter Quiver comes with an adjustable shoulder strap and is available in brown, black, blue, red, and green. The leather quiver is 3.5 inches in diameter and approximately 19 inches deep. 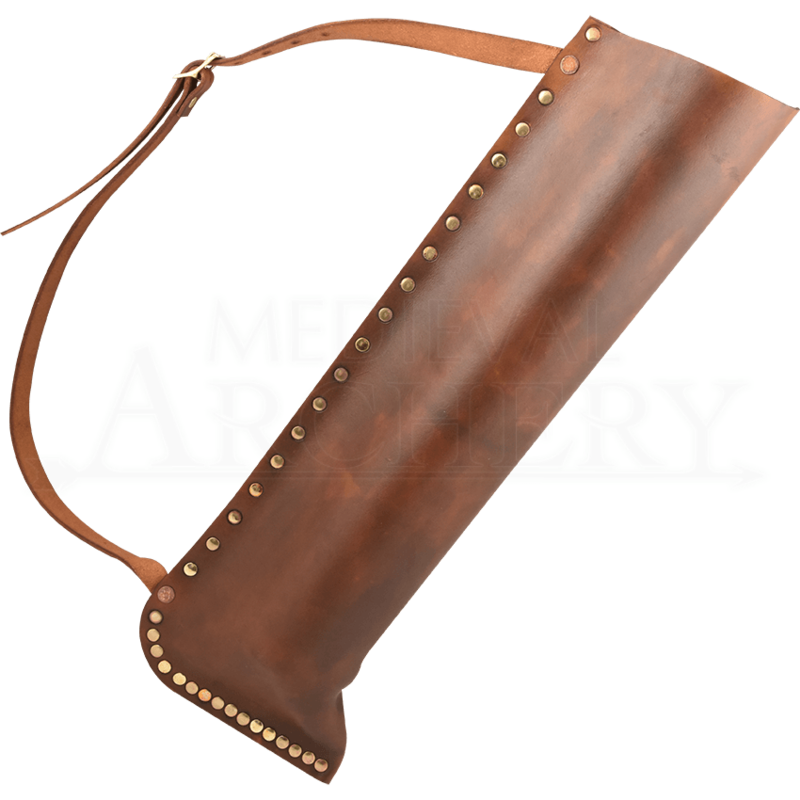 Our leather quiver is great for LARP events, traditional archery, or can be used at medieval fairs.